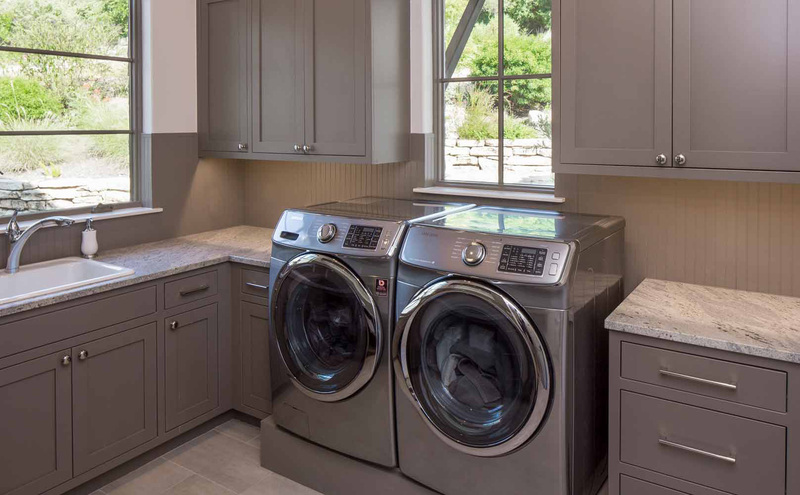 This new interpretation of the farmhouse style melds the best of two eras: the warmth and comfort of classic country farm homes with the simpler lines and hues of the modern movement. 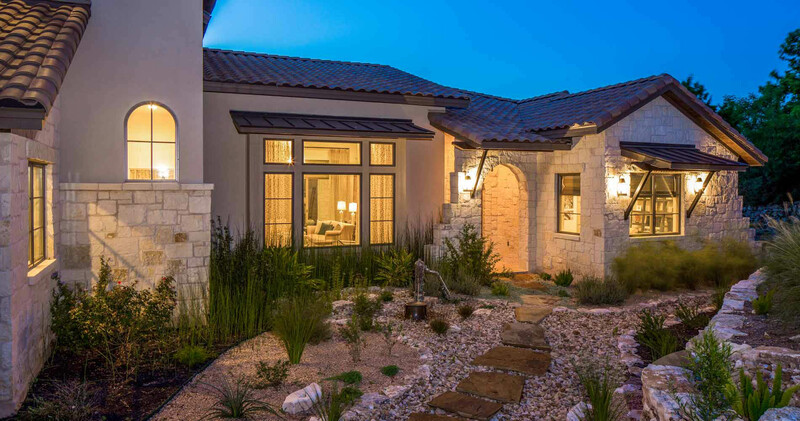 This home folds easily into its rolling lot – each of the multiple lines and angles of the street view elevation offering a different take on the xeriscaped entry arroyo. 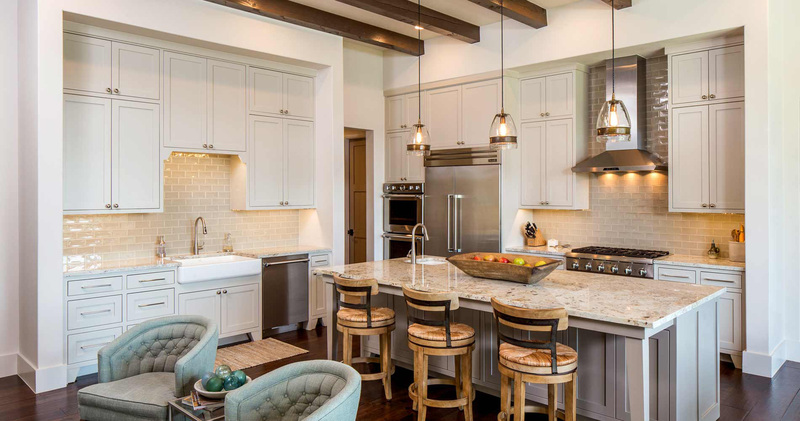 Inside, the kitchen leans to the modern side of the transitional design. 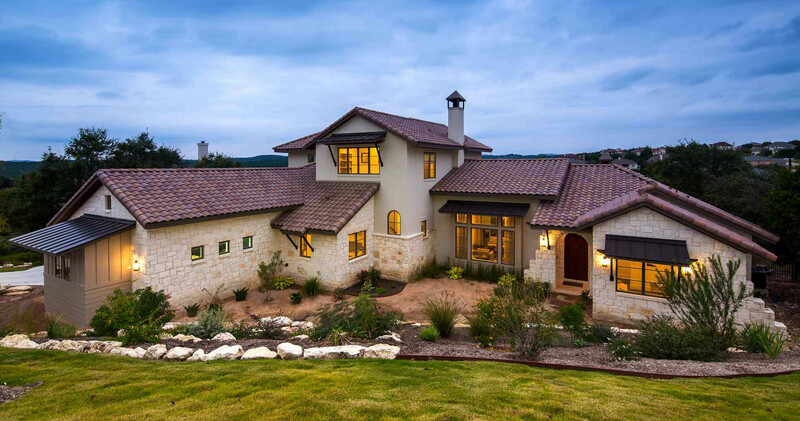 It uses a subtler, more muted color scheme and more contemporary counter stone with sophisticated lighting fixtures. 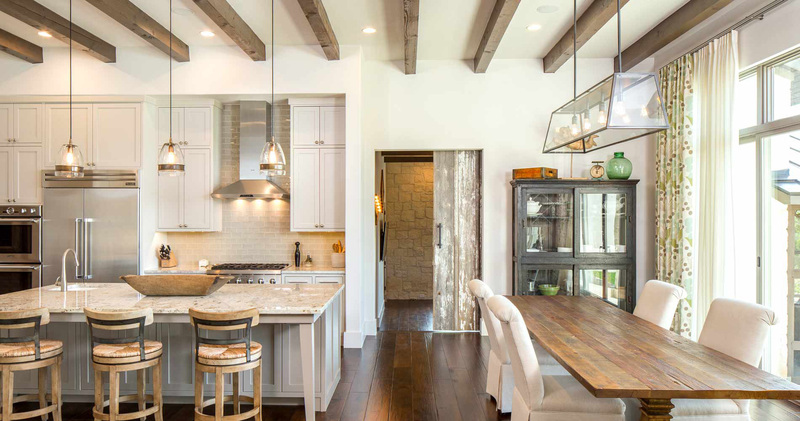 Wooden beams and furnishings – along with cushy seating choices – add the cozy cheer that farmhouse meals have shared for centuries. 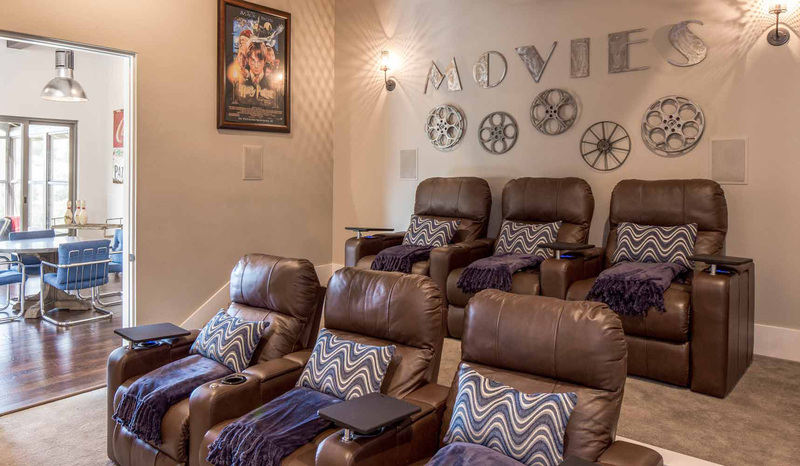 There’s a media room and the convenience of washer-dryer set up that the farm families of yesteryear could barely imagine. 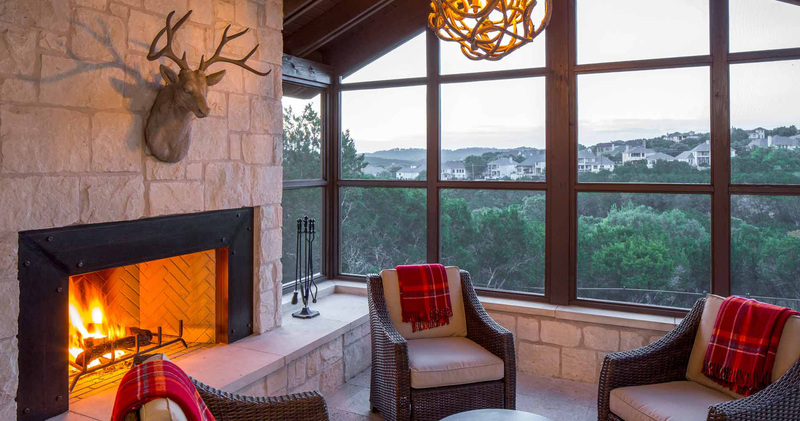 A trophy buck presides in a classic den with its fireplace and conversation cluster overlooking the neighbors on the nearby ridge. 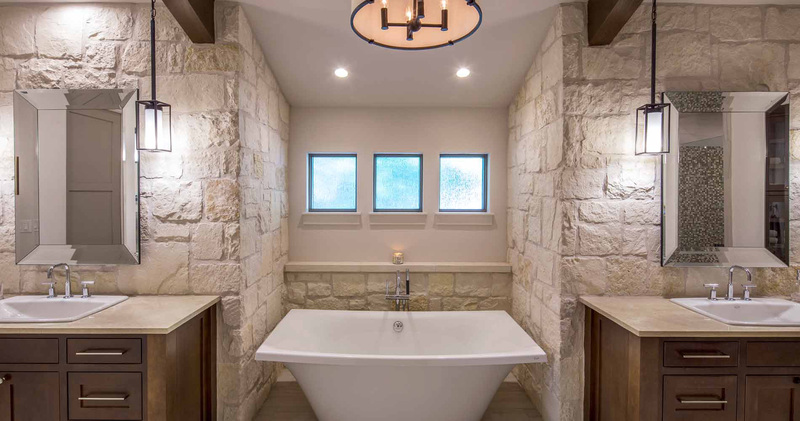 The master bath is rendered in rough-hewn stone and glass and features a perfectly contemporary version of the soaking tub: simple luxury in a classic setting. 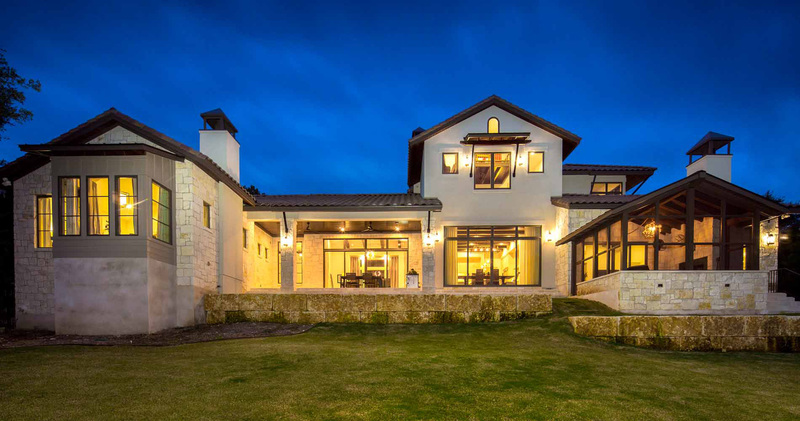 And as evening falls, this contemporary farmhouse family can choose between indoor and outdoor dining options with identical bird’s-eye views of the expansive back lawn.